The shelton velley enduro flyers are now available for download. Get your pre-event registrations in now and receive a $5 discount on the event fee! 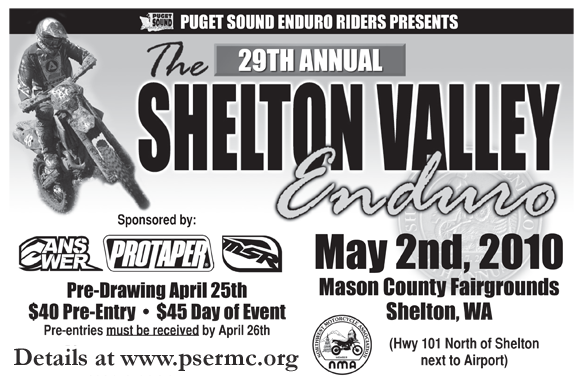 See Shelton Valley Enduro web page for all the event details and links to the flyer.